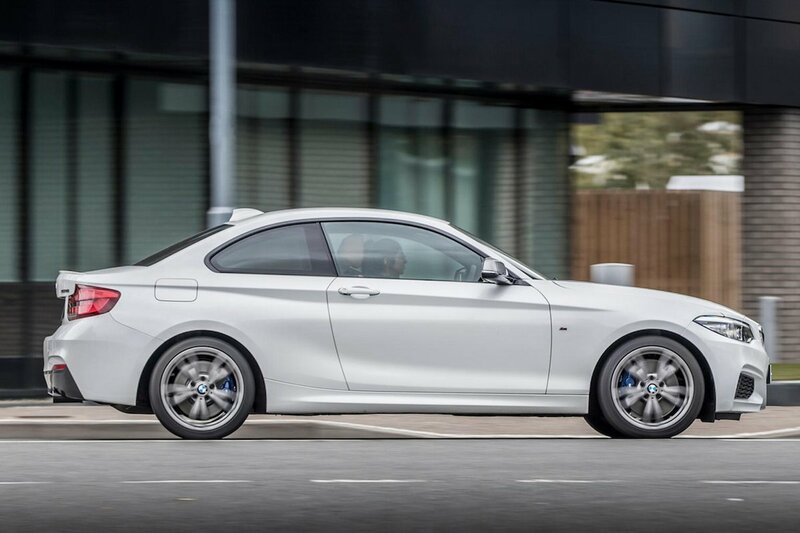 BMW M240i Performance, Engine, Ride, Handling | What Car? Manufacturers talk about pull "from almost any gear, at any revs" and that’s true here: you rarely find yourself hurriedly snatching a lower gear. 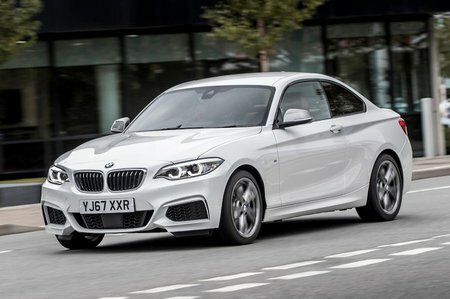 The M240i’s six-cylinder engine is superbly strong from low revs. It has absolutely no issue being at the other end of its rev band either, and neither will you – the noise is deep, purposeful and muscular. If there are any problems with the performance, it's perhaps that there's a little too much: the M240i’s rear tyres are quite easily overwhelmed on wet, uneven roads, while BMW's manual shift isn't the slickest out there. Still, BMW’s optional eight-speed automatic gearbox is smooth in auto mode and responds well to manual inputs via the M240i’s wheel-mounted paddles. Keep the M240i in its Comfort or Sport driving modes and the traction control is quick to step in and save the day. Only Sport Plus really demands your fullest attention when the going gets soggy, stepping in later than the other modes to trim the power. In the right conditions, though, Sport Plus is exactly where you'll want to be. The throttle, steering and optional adaptive dampers are primed for action and all feel their best in this mode, ensuring the M240i is poised, agile and communicative. Ultimately, it falls only just short of the handling benchmark set by the Porsche Cayman, which keeps its body better planted across undulating, camber-ridden roads and steers with a touch more linearity. That said, the M240i's softer approach makes it the more rounded prospect if you do as much cruising as you do cornering. Dialled right back, the engine settles down and the suspension is allowed to breathe enough that everything from sleeping policemen to high-frequency ruts never intrude.